Dr Nicholas J Evans is lecturer in diaspora history at the Queen’s Anniversary Prize-winning Wilberforce Institute for the study of Slavery and Emancipation at the University of Hull. He uses the fruits of his academic research on voluntary and coerced migration to, through and from Britain to empower religious and ethnic minority communities both at home and abroad. Aspects of his academic research on migration are on permanent display in museums in Antwerp, Cape Town, Hull, London, and Southampton. 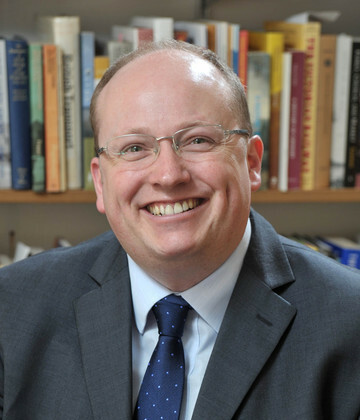 He is presently co-investigator of the AHRC 'Remember Me: The Changing Face of Memorialisation in the UK'. Dr Nicholas Evans has used a body of publications since 2000 to empower Hull's BME communities before and after the Brexit vote. His research formed the basis for a major installation marking the opening of Hull's year as the 2017 UK City of Culture. Arrivals and Departures, projected onto The Deep, was watched every 15 minutes by an estimated 100,000 people during the first seven days of Hull's year in the cultural limelight. Nine heritage plaques and markers across Hull, based upon Dr Evans' work,raise awareness of the city's role in mass European migration to America, Canada and South Africa between 1836 and 1914. His work has been included in numerous television and radio documentaries with the BBC, ITV, RTE, SABC, NKH. Other aspects of Dr Evans' work are on permanent display at Antwerp, Cape Town, Hull, London and Southampton.